Boards of Winter Cereal Trust (WCT), Southern African Grain Laboratory (SAGL), Grain Farmer Development Association (GFADA) and South African Grain Information Services (SAGIS). Steering Committees, Forums and Working Groups the Maize Trust, Winter Cereal Trust, Oil and Protein Seeds Development Trust and the Sorghum Trust. Research Technical Committees of the Maize Trust, Winter Cereal Trust and GFADA. 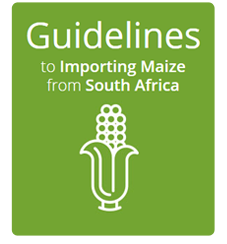 JSE Agricultural Products Division Advisory Committee (APDAC), SAGAS Governing Committee. Crop Estimates Liaison Committee (CELC), South African Supply and Demand Estimates Committee (SASDEC) and Cereal Science & Technology of Southern Africa (CST-SA). AFMA, AgriSETA, ARC, DAFF, DOH, Grain SA, GOSA, NAMC, NCM, PPECB, SACOB, SACOTA. Agbiz Grain is affiliated to the Grain Elevator and Processing Society (GEAPS) in the USA.